2 rolls. Pre-made. Deep fried only. Vegetarian and contains mushroom. 2 rolls. Pre-made and deep fried. 6 pieces. Steamed and pan fried at the bottom side. 4 pieces. Homemade and deep fried. Cream cheese with crab meat. Authentic Sichuan cuisine with high quality materials and ingredients. If you like szechuan style food, this is your go-to place. We ordered the cold spicy beef tendon, the boiled beef, singapore noodles and cumin lamb. All were ordered spicy. The tendon was perfectly cooked - soft and tender with the right amount of heat. The boiled beef had the numbing effect of the szechuan peppercorns. This is a big dish and very good. The Singapore noodles were probably the weakest dish and they were still delicious. Finally the cumin lamb. Heaven. Spicy and then you get the cumin hit. The lamb taste is mild but the spices more than make up for it. If I lived nearby, I would be ordering from them on a regular basis. I am back. I was greatly surprised the food taste and fast delivery. I gave them 2 stars last time..and was gonna avoid ordering here, only because the last 2 times it was subpar, no rice and COLD. This time they are BACK...food was great. I have never tasted Pot Stickers like theirs. yummy Thanks Lao Sze Chuan, keep it going! I wanted to place an order for the spicy cabbage, and it was not in the order. The food is good, but they really need to pay close attention to the comment. Also, they should ask if customers won't white rice, I don't eat white rice and forget to place that in the comments. I wish they would ask. Lao's was my first restaurant to visit in Chinatown and so glad they're in Evanston now too. Even though prices seem a little high, the quality and quantity are spectacular. Go with a few friends and try a bunch of dishes. You will all leave with enough for lunch the next day! Unbelievably good!! By far the best Chinese that I've had in years. The potstickers, General Mao's Pork Belly, Crispy Lemon Shrimp, Kung Pao Beef and Stirfried Duck with ginger were all great --- not a single miss!! I cannot wait to order again. Opened in 1998, Lao Sze Chuan has become the most beloved Chinese restaurant for Chicagoans, and gradually gained its reputation by providing the authentic Sichuan cuisine with high quality materials and ingredients. In 1999, Lao Sze Chuan was recognized by Chicago Tribune as "One of the Best" and received a "three fork" ranking, which was a very high award for Chinese restaurants at that time. "One Style For One dish, a hundred dishes have a hundred different taste", that's what some of our frequent customers said keeps them coming back. At the present, Lao Sze Chuan has many special Grade A chefs who are from Sze Chuan China, to provide customers the most authentic tasting food. 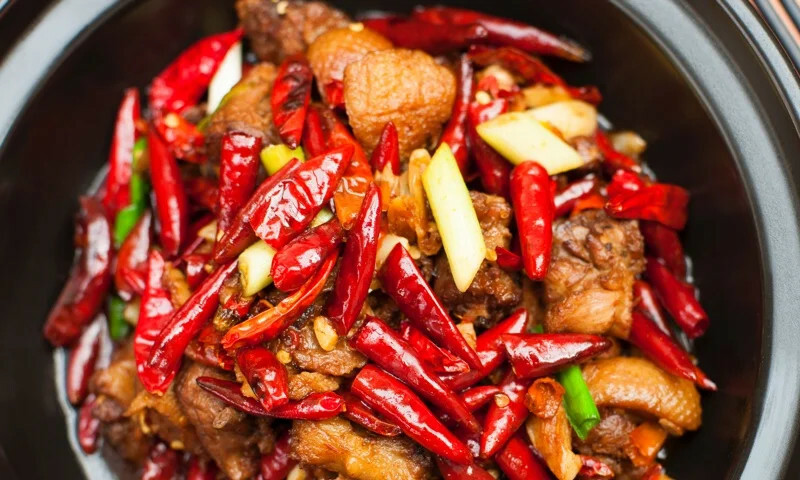 As the best representation of Chinese food, Lao Sze Chuan has been named the Best Chinese Restaurant in Chicago by the main stream food columns. Whether you're craving a quick bite or looking to treat yourself to a delicious meal, you can now order your Lao Sze Chuan favorites for takeout or delivery.